The orphanage was rebuilt with the help of the organization "Help us live" and the support of the Fontanestadt Neuruppin. Background of the foundation was the guiding principle to improve the life perspective of children and adolescents in today's society, as well as to create a space for the unfolding of their personality. The beginning of the renovation will start on May 09, 2005, and the inauguration of the orphanage by Buddhist monks was on April 20, 2006. Under the motto "Joint commitment leads to more success", especially talented children are to be sent to further education schools through donations and sponsorships. Great value is also to be placed on health care provision as well as professional and cultural education. Protection and security, encouragement, stimulation, therapeutic accompaniment and human encounter should be experienced by the residents of the orphanage in order to stabilize themselves and to master the demands of everyday life. At present, 20 orphans and half-wise children live in the orphanage. 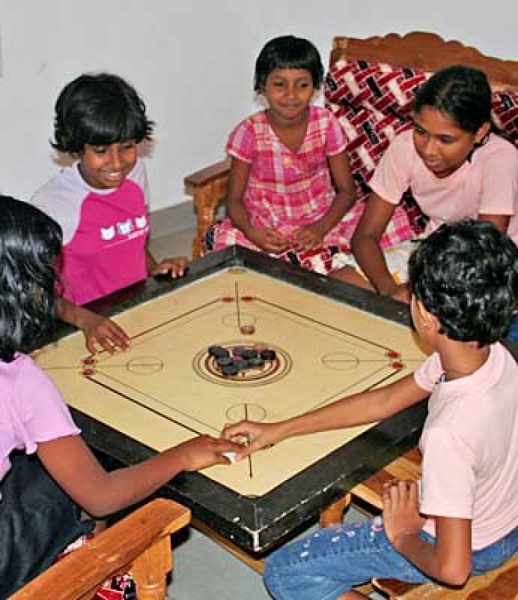 The orphanage Beruwala is now completely dependent on private donations! In order to guarantee the continued existence and the quality of the house, we ask you to support us. Regular renovations in the sanitary area and kitchen are required, as well as the money for clothes, shoes and groceries. Of course, medical care and schooling can not suffer from lack of money. PLEASE HELP US TO GIVE AND ASSURE A FUTURE FOR CHILDREN! Donations are collected on a German account (see below) and from there 2 times a year to Sri Lanka, whereby the bank DOES NOT CHARGE! This guarantees that 100% of your donation will also arrive with us, WITHOUT administration costs !!! You will receive a certificate / donation certificate (tax deductible) from us. Please specify the e-mail address for a transfer in the subject. THANK YOU FOR YOUR HELP IN THE NAME OF OUR GIRL!